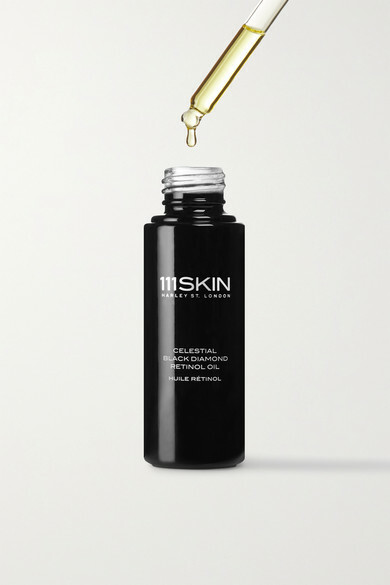 111SKIN's highly concentrated night treatment contains maximum strength 1% pure retinol - it rapidly resurfaces uneven skin by diminishing the appearance of age spots, fine lines and wrinkles. This oil is infused with black diamond particles that transport the label's patented NAC Y² compound into deeper layers of the dermis to intensively target signs of aging. 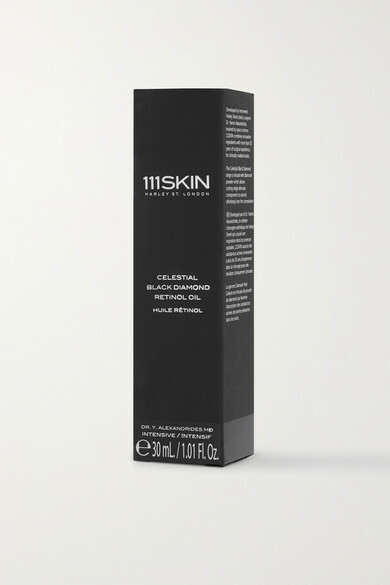 A blend of Vitamin E, Omega-3 and Omega-6 help soothe, heal and renew for a remarkably smooth and soft result.